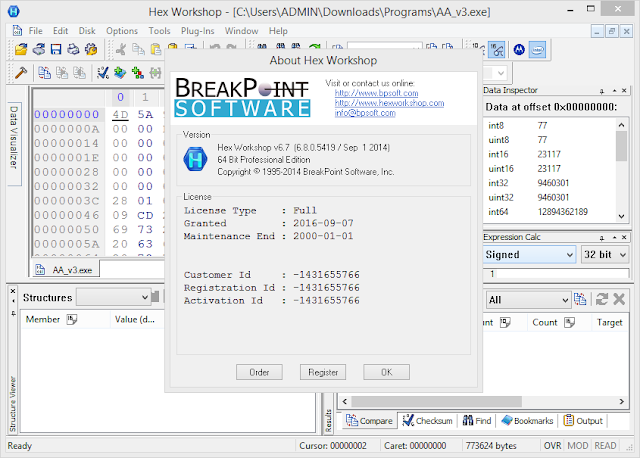 The Hex Workshop Hex Editor 6 by BreakPoint Software is a complete set of hexadecimal development tools for Microsoft Windows. Hex Workshop integrates advanced binary editing and data interpretation and visualization with the ease and flexibility of a modern word processor. With the Hex Workshop, you can edit, cut, copy, paste, insert, fill and delete binary data. You can also work with data in its native structure and data types using our integrated structure viewer and smart bookmarks. Data editing is quick and easy with our extensive features that allow you to: jump to file or sector location, find or replace data, perform arithmetic, bitwise, and logical operations, binary compare files, generate checksums and digests, view character distributions and export data to RTF or HTML for publishing. 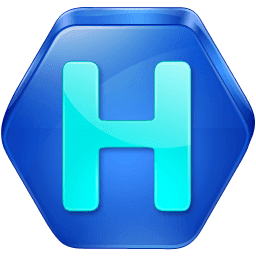 Hex Workshop v6.8.0 features integrated structure, color map, and expression calculator editors with syntax coloring. The structure editor includes in-line error messages to aid in debugging structure definitions. Additional usability and font/layout sizing changes are included.